Let’s say we create a new FOLLOWS relationship from Node 1 to Node 2. Neo4j will update both of the nodes affected, adding an entry to the FOLLOWS-Outgoing list of Node 1, and an entry to the FOLLOWS-Incoming list of Node 2. This is a very powerful feature because it means I can traverse this relationship from either node and get to the other. This is done Atomically, so you never end up with half a relationship entry in the database and it keeps your database consistent at all times (unlike some other databases). 99.9% of the time, this is what we want. To be able to traverse relationships from either direction. So lets talk about the 0.1%. 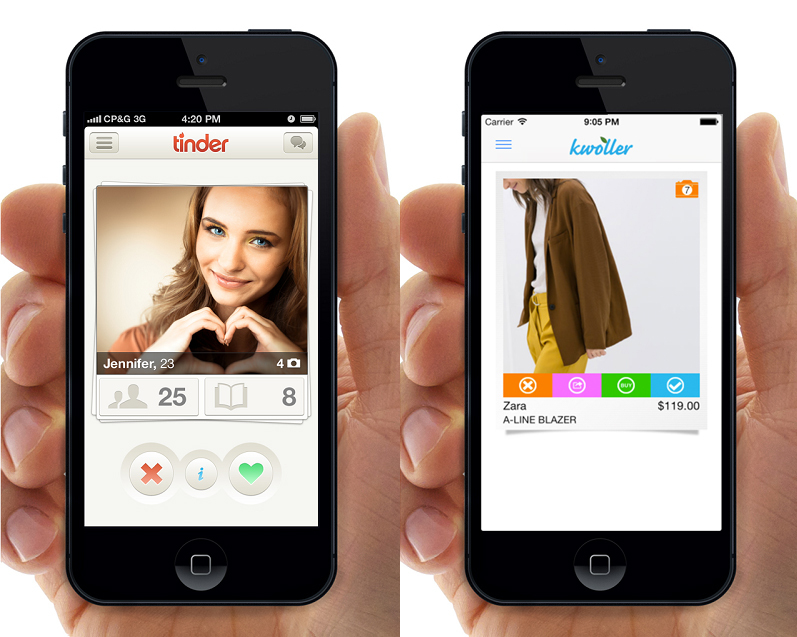 Let’s say you are building a mobile shopping application where your users can “Swipe Right” if they like an item, “Swife Left” if they don’t like an item, and “Double Tap” to add it to their shopping basket. We could model this two ways in Neo4j. The first way is the standard way. Every user action results in a Relationship for either LIKES, DISLIKES, or PURCHASES. From a User point of view, you want to know what items you don’t like, so they can be excluded from recommendation or search queries. However from an Item point of view, would you ever need to know which users didn’t like it? Let’s try this from a Dating application point of view. What feature would your users appreciate that shows them the people who don’t like them? Quick somebody get a hold of the Tinder data and create an app called “Asholes” that shows you all the people who swiped left! Right, that would be a terrible idea. So then, when Neo4j creates a new Relationship it uses up 34 bytes. It needs all that because it has pointers to the start node and end node as well as to the first property of the relationship and the rest of the relationship chain. So if you are expecting a ton of these types of relationships what can you do? Great, but how do we get the node ids back? We just do it backwards and deserialize the byte array back into a RoaringBitmap. So let’s use this in a recommendation engine. First, we will find all the items the target user PURCHASED. Then we’ll use the Incoming PURCHASED and LIKES relationships to find the top 25 users with similar tastes as our target user. For every item we purchased, we’ll give 5 points to any user who also bought it and 3 points to any user who liked it. For every item we liked, we’ll give 2 points to any user who also liked it and 1 points to any user who bought it. We’ll take the top 25 scoring users, and then find the items they liked or purchased. We’ll give 1 point every time an item appears on the list. Then we will eliminate the items the user already bought, liked, or disliked. Remember our dislikedItems came from the RoaringBitmap. Finally we recommend the top 10 items from those remaining. Checkout the full source code on github. I also wrote another set of JMH tests using both models and the performance is pretty close. So how much of a cost savings is it memory wise? Here is a test that shows the size of a RoaringBitmap as we add 3 items to it and then 1000 more ids. We are at 18 bytes vs 34 with 1 item, 20 vs 68 with 2 items, 30 vs 102 with 3 items, and so on. The final size was around 8k which beats 34k, but if the node ids would have been less spread out the compression would have been greater. One way relationships as a compressed bitmap is a bit of an advanced hack. It came into being because a certain customer had 1 billion one way relationships that were wasting too much memory. Another customer stores a bloom filter as a node property. They use it as a preliminary filter before traversing the graph. One of the things I absolutely love about Neo4j is that you have complete freedom to do whatever you want. The days of treating a database like dumb storage are over, so get creative and go crazy. Really inspiring blog post. Thanks for sharing ! Is there a performance difference if you traverse a relationship in Cypher against its direction? Nope. Neo4j doesn’t care which way you traverse a relationship.